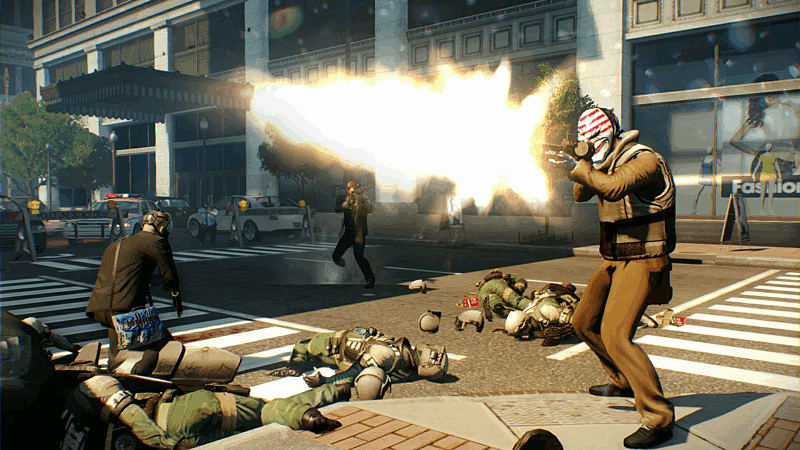 PAYDAY 2 comes to New Generation consoles with an action-packed, four-player co-op shooter that once again lets gamers don the masks of the original PAYDAY crew as they descend on Washington D.C. for an epic crime spree! 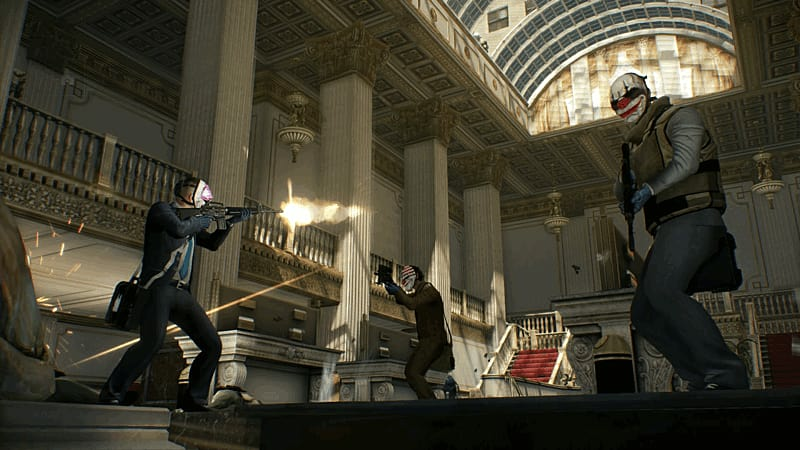 PAYDAY 2 comes to New Generation consoles with an action-packed, four-player co-op shooter that once again lets gamers don the masks of the original PAYDAY crew – Dallas, Hoxton, Wolf and Chains – as they descend on Washington D.C. for an epic crime spree! Up to four friends can co-operate on the hits and as the crew progresses the jobs become bigger, better and more rewarding, along with earning more money and becoming a legendary criminal. Crime does pay – use your funds to customize your character with new skillsets that change the way you play and kit them out with their own guns and gear. The new CRIMENET network offers a huge range of dynamic contracts. Players are free to choose anything from small-time convenience store hits to major league cyber-crime or emptying out major bank vaults for that epic PAYDAY. 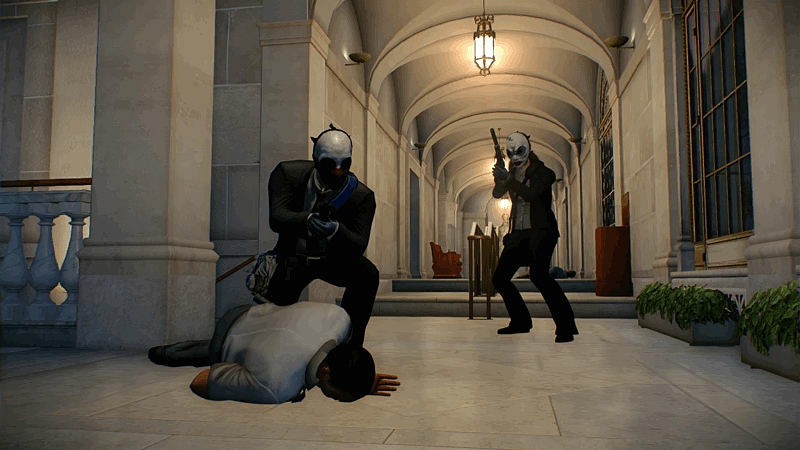 1080p Visuals bring heisting into glorious full HD on both Playstation 4 and Xbox One. See every bank note fly and Feel every bullet blast past your head! 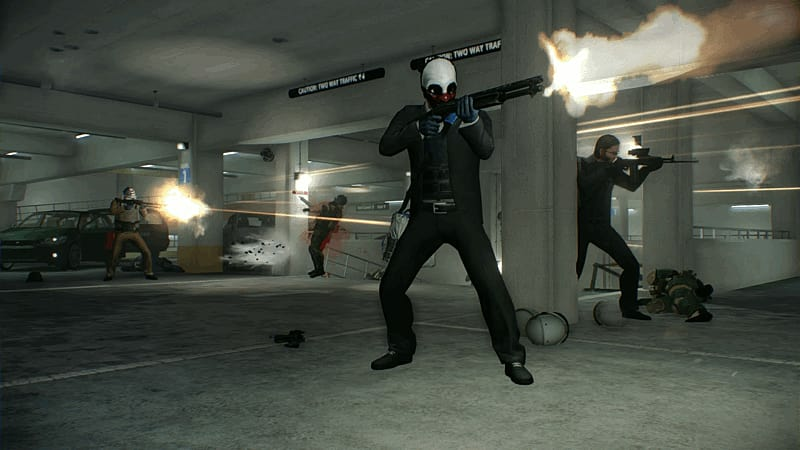 PAYDAY Loot – Finishing a job isn’t just an accomplishment to be proud of. 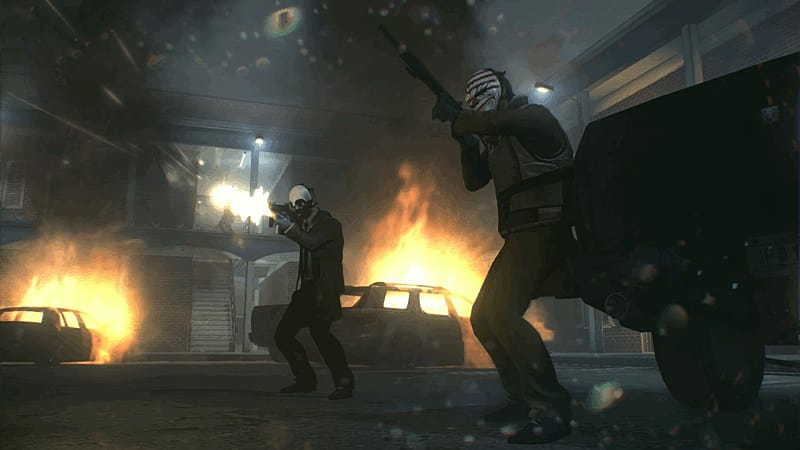 After a successful heist gamers will also earn rare and powerful new equipment such as masks, weapons mods, mask modifications and a variety of other accessories. Mission Assets – Every job has a set of purchasable assets that can alter and enhance the heist such as a faster escape car, blueprints or even inside help. 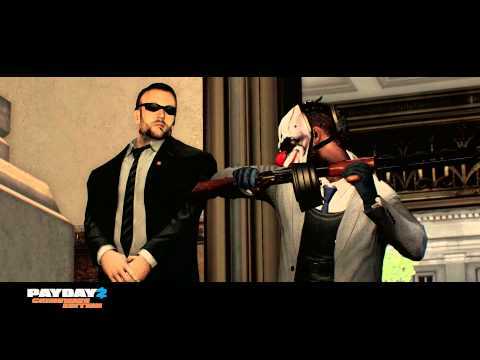 PAYDAY mask can now be customized into tens of thousands of differe nt combinations, color and material variations and there is a bigger selection of gear to wear for the discerning high-fashion heister. Multistage Jobs – Many contracts feature several separate stages allowing for mission forks and different outcomes depending on what the players accomplish in each individual stage. New Heists with multiple stage contracts have been added, from Big Bank, Hotline Miami, to the Diamond Heist, and more! Wider range of weapons Automatic weapons, shotguns, sniper rifles and grenades add an explosive kick to any heist! Perk deck system Grow and customize your characters abilities with a new perk system that adds enhancements for both players and their crew. New skill tree, The Fugitive has been added to the roster of Ghost, Mastermind, Enforcer and Technician, allowing players to further specialization and associated perks. 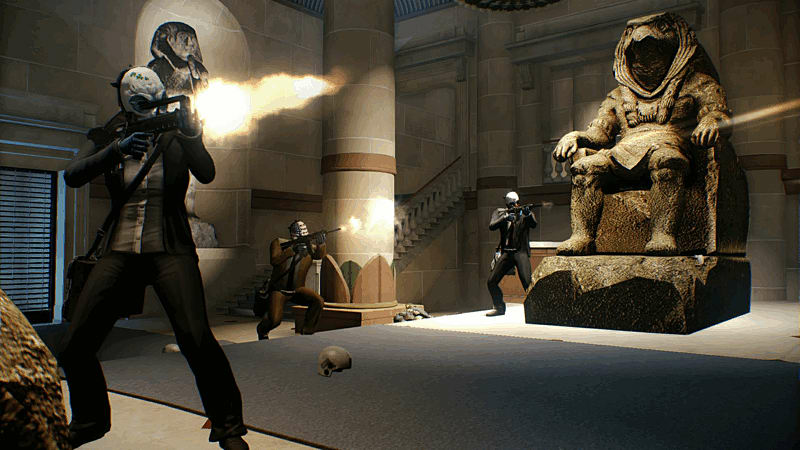 New pre-planning phase– Players can now prepare a strategy prior to a mission, and execute the perfect heist. New Playable Characters - John Wick, Old Hoxton and Clover now appear as playable characters, each with their own backgrounds and personalities. Clover is the first female heister to appear. More masks to unlock – Mask options are more varied with many more to choose from and lots more customization options.